Superior quality 'Jansen' Grand Piano Truck Dollies with Brakes. 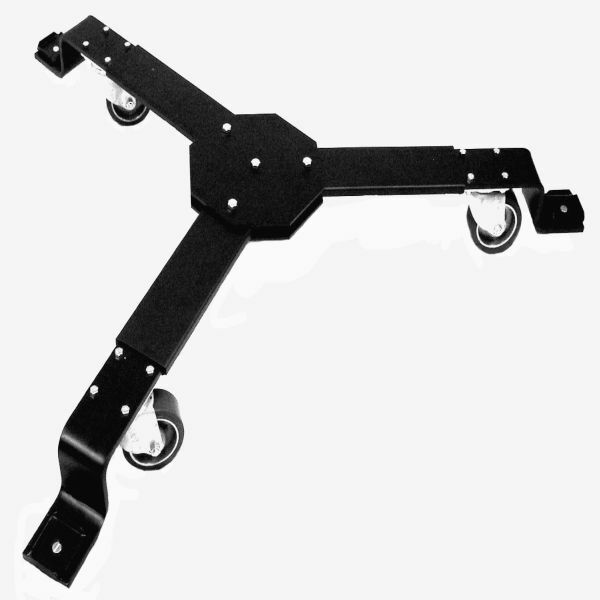 Three sizes of fine quality, fully Adjustable Grand Piano Truck dollies, made in the USA of 1/2" thick steel, with wider & heavier steel parts than any other dolly. At the center of the dolly, the steel telescoping arms adjust easily to the angle of the piano legs. At the end of each leg is a 3" square swivel socket to hold the piano legs. (Larger sockets available upon request). 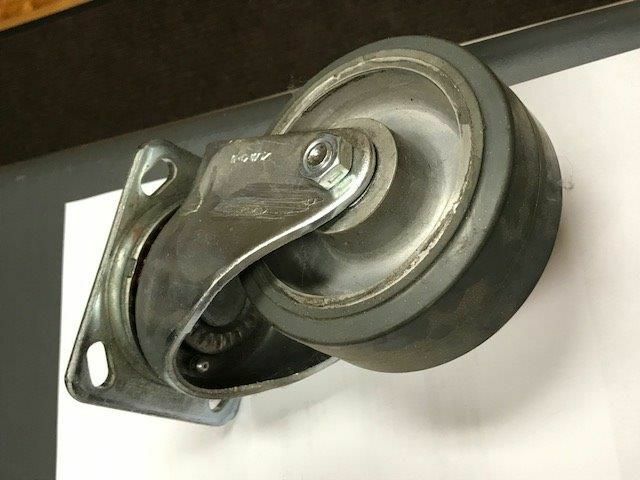 These truck dollies are equipped with 'American made' heavy duty, 5" x 2-1/2" wide diameter non marking grey rubber tired, ball bearing casters, aluminum mounting. J-6542 - Small - for Grand Pianos 4'8" to 5'11"
J-6543 - Medium - for Grand Pianos 6' to 7'6"
For 6' & 6'1" Yamaha, Young Chang, Kawai & Samick grands please order the #J-6542 Small Dolly. Please type in the Make & Size of your piano in the comment section of your order form. Select Model J-6542-Small J-6543-Medium J-6544-Large J-6544R-Large Caster J-6544-XL-Bosendorfer 9'6"
This is my forth order with Piano Showcase. It was easy to find the correct model and get it ordered. Came quickly and fit exactly. I've started the ordering process at several other sites, but always ended up a the point where I needed a human to confirm details and complete the order. Not Piano Showcase. Bravo! My only concern is that the petals are now at least 3" from the floor and causes the piano to move vertically when I use them. Is there some way or devise to correct this? Our responseHi Carolyn: Thank you for your review & you're enjoying your dolly. Please make sure you took the wheels off the piano before placing it on the dolly. If so, with the brakes on, the dolly will not move. We were delighted to receive our Jansen Grand Piano Dolly. It was delivered very quickly. It is of the highest quality, was easy to assemble and was exactly what we were looking for. We are very happy with our purchase. 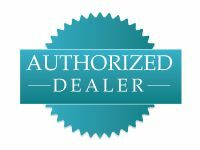 By providing the correct measurements and piano type, it was easy to purchase a very high quality professional method in which to easily and safely move a very expensive piano. I would recommend them highly.